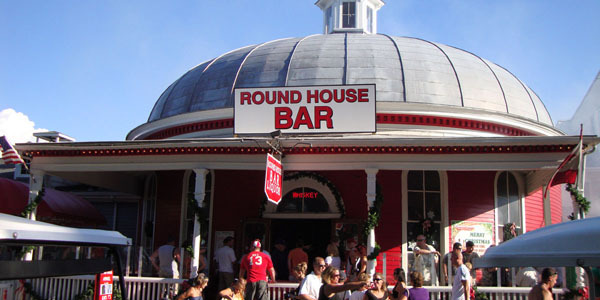 An island tradition and favorite for over 130 years, The Round House Bar is a Put-in-Bay must see. Here you will find wondeful live entertainment throughot the week. Here is the home of Island favorite Mike "Mad Dog" Adams, and he can be seen frequently on the weekends throughout the summer season. Enjoy the views of DeRivera Park and downtown Put-in-Bay from the front porch. Don't miss out at this gem of the Lake Erie Islands, and make the most of your Put-in-Bay adventure.